Breastfeeding is nature's gift to mothers: It's all-natural and free, and it provides a host of benefits to you and your baby's overall health. However, it's often a concern for new mothers that their milk supply isn't enough. Your milk supply may indeed temporarily diminish if you're not feeding your little one often enough for a variety of reasons. Remember that milk supply works the same way as economics: there's a law of supply and demand. With breastfeeding, the more you nurse, the more milk you produce given the proper positioning and latch. Unfortunately for a number of mothers, their milk supply may still be low. Enter galactagogues, the most popular and most convenient being lactation cookies. 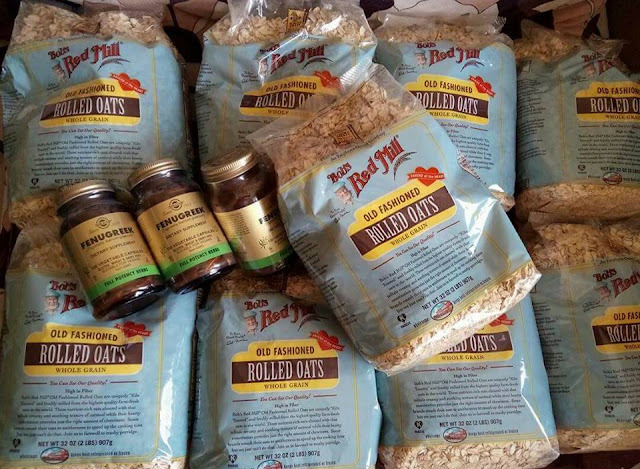 Oats are rich in fiber, iron, protein, and complex carbohydrates. Low levels of iron have a close correlation with milk supply reduction. Brewer's yeast contains protein, iron, B vitamins, selenium, chromium, and other trace minerals. The combination of these nutrients are believed to help in boosting milk supply. Flaxseed is rich in Omega-3 fatty acids and healthy fats, which are key components in breastmilk. Wheat germ has high levels of zinc, which is essential in supporting baby's growth, immunity, and brain development. Fenugreek contains hormone precursors that prompt the milk glands to produce more breastmilk. Feeding a miniature human from your body takes so much energy and effort, which is why most breastfeeding mothers are often very hungry and thirsty after each breastfeeding session. Instead of snacking on unhealthy food, lactation cookies are a more nutritious alternative. You get to satisfy your hunger while maintaining your figure! One of the main ingredients of lactation cookies is oatmeal. Oats are known to be high in fiber and can aid in your bowel movements, eventually helping you to shed some of your postpartum weight gain. Of course, go for homemade lactation cookies without the extra sugar. Two other key ingredients in lactation cookies are brewer's yeast and wheat germ. The combined nutrients in brewer's yeast and wheat germ are believed to aid in managing depression, though there aren't enough studies to support this claim. However, a little sugar fix from eating lactation cookies can definitely help in boosting your mood. Because the ingredients of lactation cookies are all-natural, there are no known adverse effects. Nuisances such as gas from oatmeal and weight gain from eating too many cookies are some of the reported "side effects." Some doctors advise against fenugreek for breastfeeding and pregnant mothers with health conditions, though the small amount of fenugreek per cookie serving is considered safe enough. It's important to note, though, that each mother respond differently to lactation cookies. Some moms notice a significant increase in their milk supply within a few days of eating two to three lactation cookies per day, while some take a few weeks or so. Lactation cookies are just among the many galactagogues available for breastfeeding mothers. These cookies can be easily made at home. But if you're like many busy moms who hardly have the time to shower, let alone bake a cookie, buying ready-made lactation cookies is the obvious route. 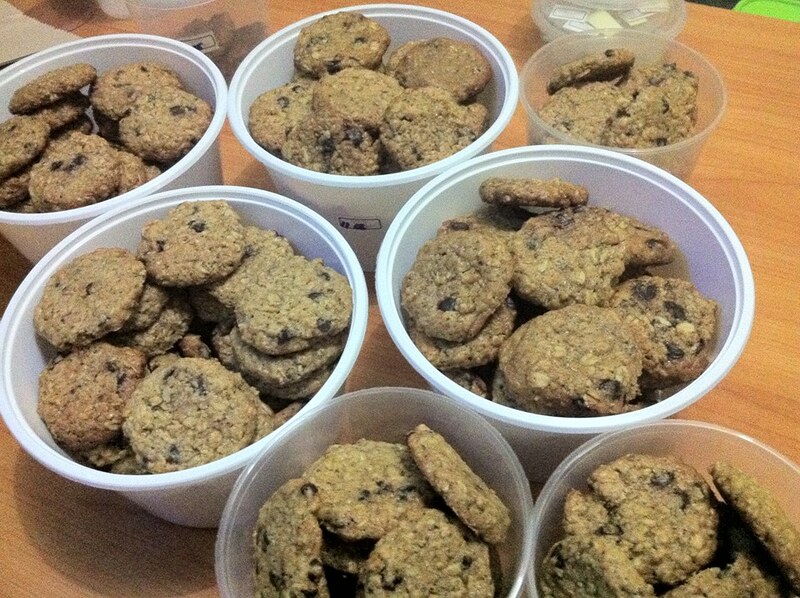 Out of all the lactation cookies I've tried, I'm especially impressed with Milking Moms Lactating Goodies, one of the most affordable homemade lactation cookies in Cebu, Philippines. Their cookies are baked fresh from the oven, without any preservatives. Their cookies come in two flavors: Oat Raisin Cashew and Oat Choco Chip. What I like best is that the cookies are only semi-sweet, so you won't have to worry about the extra calories.